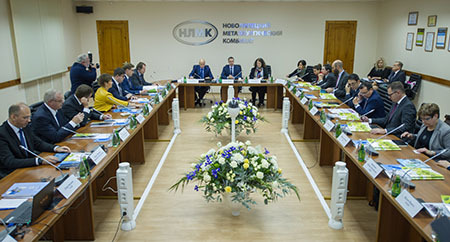 Sylvie Bermann, French Ambassador to Russia together with French companies rendered a visit to Lipetsk on November 21, 2018, where they were able to see NLMK’s newest installation and discuss opportunities for cooperation. Fives was represented by Guillaume Mehlman, President of the Steel and Glass business lines, Philippe Cruiziat, Executive Vice-President of the Steel business line, Jean-Francois Legrain, Country Manager in Russia and CIS, and Marina Denissova, Deputy Country Manager in Russia and CIS. 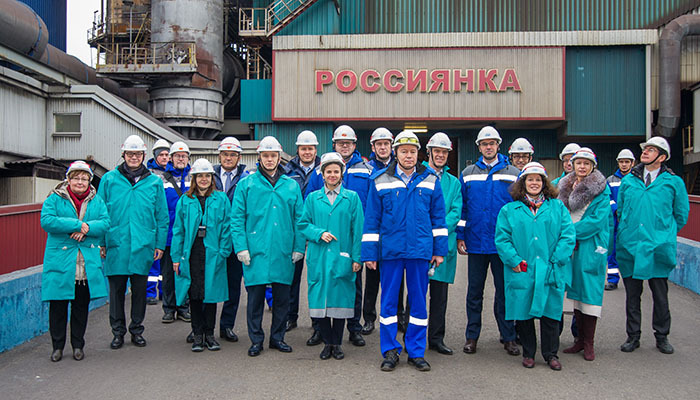 NLMK top management, including Grigory Fedorishin, President and Sergey Filatov, Managing Director proudly presented the new fully automated blast furnace “Rossiyanka”. The €1bn blast furnace is the first to be constructed in Russia in the last 25 years. 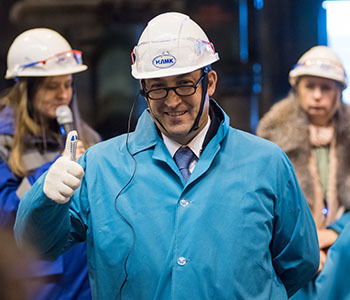 Guillaume Mehlman says that he was greatly impressed by the productivity of the facility which is amongst the highest in the world and delivers more than 2.5 million tons of iron per year. At the meeting, the French companies presented their innovative technologies to NLMK top management and regional governors. Fives’ presentation considered the growing demand for new grades and high-end products, providing an overview of its expertise in technological processes, breakthrough technologies and digital solutions, including real-time quality management software EyeronTM. NLMK is an integrated manufacturer of diversified steel products, with facilities in Russia, North America, Europe and India. Its relationship with Fives dates back to the 1980s and continues to grow in strength. Fives designed and delivered thermal equipment for annealing, pickling and coating lines for NLMK silicon steel workshop, as well as thermal parts for continuous galvanizing lines (CGL №2 and CGL №4). Recently, Fives was contacted by NLMK Europe Strip to render consultancy services for quality improvement, defect analysis from upstream to downstream, surface inspection system fine tuning and technical support assistance. In 2017, Fives was invited by NLMK management to participate in the company’s strategic development workshop. Fives specialists on process expertise and mechanical, thermal and induction technologies shared their know-how and outlined technologies that can help steelmakers reduce operational costs.